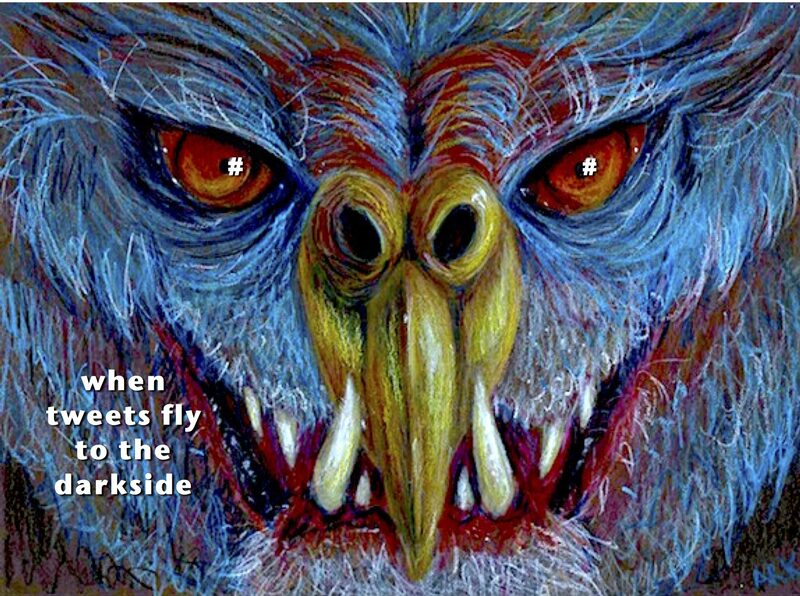 This entry was posted in My Art & Writing and tagged art, birds, creature, hashtags, humor, monster, news, observations, politics, social media, tweets, Twitter, writing. Bookmark the permalink. Kind of ironic AnnMarie as Injust closed my Twitter down yesterday. Got tired of the hateful political comments. Beautiful work AnnMarie! I am going to group tonight. I am excited taking the train my first time at this group should be fun. I had a pretty good day so far just relaxed ate out and watched some basketball. I am deff going to grab some coffee before group. Hope you had a good day. When are you having an art show?